Organ donation is when someone allows an organ of theirs to be removed (legally), either by consent from the donor while they are alive or after they have died by the donors next of kin. Donations can be for medical research or for healthy organs to be transplanted into another person who is in need. 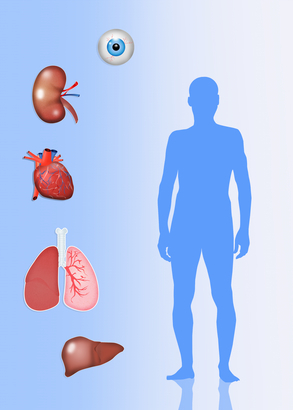 Organs that are commonly transplanted include the heart, lungs, kidneys, liver, pancreas, intestines, eyes, bones, bone marrow, and skin. Some organs and tissues can be donated while the donor is alive by donating one of the kidney, part of a liver, pancreas, intestines, and lung, but most donations occur after the donor has died. One donor can save up to 8 lives through organ donation and enhance the lives of up to 75 people through tissue donation (Trillium, 2018, beadonor.ca). You can be any age in order to be a donor and your medical history does not prevent you from registering. People with serious illnesses can sometimes be an organ/tissue donor; talk to your doctor about your options and if it is possible for you to be a donor. Each donor is evaluated on a case-by-case basis. If you are interested in being an organ/tissue donor, you can go to beadonor.ca to register.